There is a strong debate in the construction industry as to whether timber should be used as a construction material, following the impact on the global deforestation. There are however 13 reasons why it has always been a sustainable material and why it should still be uses, as long as its source is sustainable. The rule of using timber for construction is planting more trees than you cut. Carbon is usually stored up in trees through photosynthesis. Even a tree that has been cut down still keeps the carbon intact, unless it rots or burnt. The principal role of having forests is to remove carbon in the atmosphere and therefore the trees whether growing in the forest or being used for construction will still serve its purpose. Timber is known as a building material that have the least embodied energy and this is because it require little processing as compared to other building materials. The processing of timber also produces less Sulphur dioxide, hydrocarbons, particulate matter, carbon monoxide and VOCs in comparison to other building materials. Timber is a natural renewable material and you can plan how you will have endless supply of timber by the time you plant and harvest. A sizable tree ready for harvest is ready within a period of 25-80 years and it cannot be compared to other raw materials like plastic, bricks and steel, that are renewed within an ecological era, which is hard to predict. Timber requires very minimal and affordable upkeep, and this is especially so if you do not have a problem with the change of colour on the timber over time. Advanced technology is also making that can be used for high rise structures. Timber blends in well with most landscapes and more so in the rural areas. It is also seen as a material that offers a warm and soothing feeling. 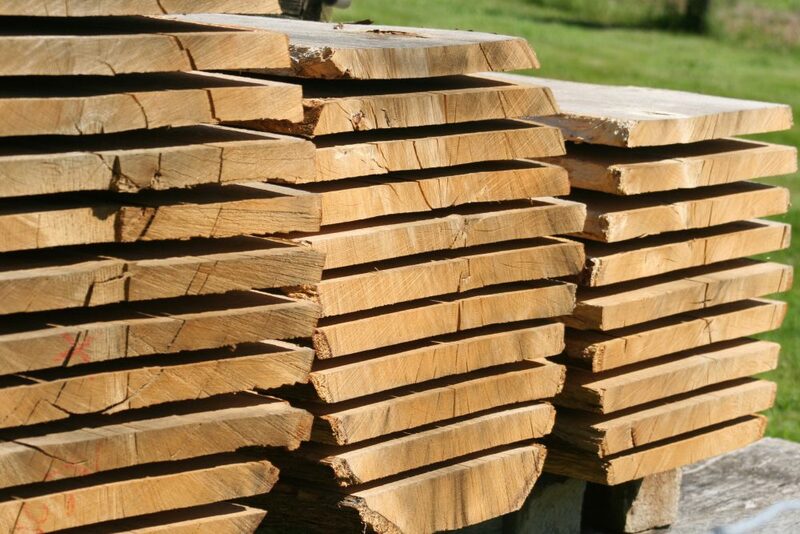 Timber is not only used for constructing houses or buildings but also furniture. It can also be used for exterior decoration, joinery or structural frames as well as furniture. Using timber for construction saves you money as it takes a short time to put together and also, it does not require specialized skill compared to other construction materials. Timber has natural thermal insulating elements. The frames also give more space for insulation and it also serves as an energy saver since a well-insulated house requires less heating/cooling. This translates to reduced carbon emissions. It is possible to reuse timber from demolished structures. Similarly, once a tree is logged and the big chunks of wood removed, the remaining pieces can be used for other purposes such as making smaller timber products, sawdust, fencing or fibreboards. In case the timber has no use anymore, it can be used as fuel which has net effect on the environment since it emits the already stored up carbon. In its natural state, wood is non-toxic, unless it is preserved with toxic chemicals and therefore cannot be burnt safely. However, technological advances have developed non-toxic chemicals and glues which has less effects on the environment. Since wood is an organic material, it has the ability to regulate humidity by absorbing or producing moisture depending on the weather. Wildlife and many endangered spices dwell in forests, which means that having sustainable forests for the sake of having a sustainable source of timber as well as a home for these creatures and animals. It is advisable to have sustainably managed forests as opposed to having sections of uneven forests. Forests also serve as recreational space for human beings who enjoy nature for leisure or well-being benefits. Apart from providing timber, a home for the wild animals and recreational space for human beings, trees also help to prevent erosion, flooding and drought. The weather and climate in general is stabilized and regulated. Trees also serve as air purifiers by absorbing the carbon and releasing oxygen. By having more forest cover, it means that we can easily become accustomed to the current weather status and manage it from getting worse.